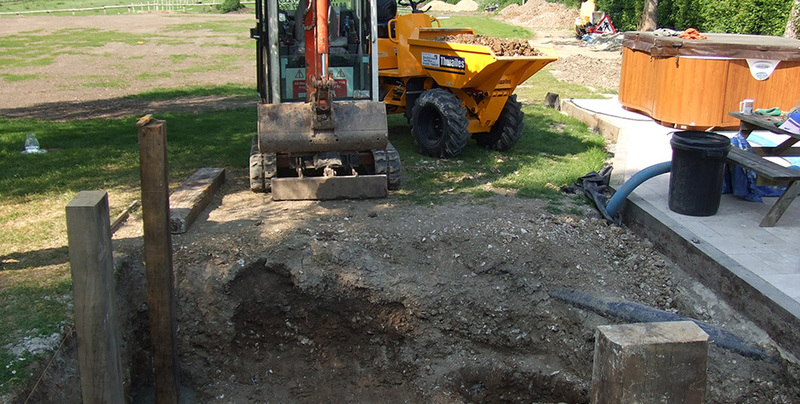 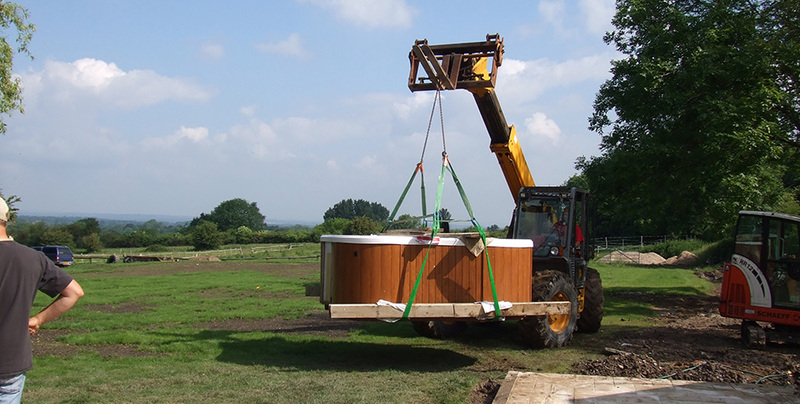 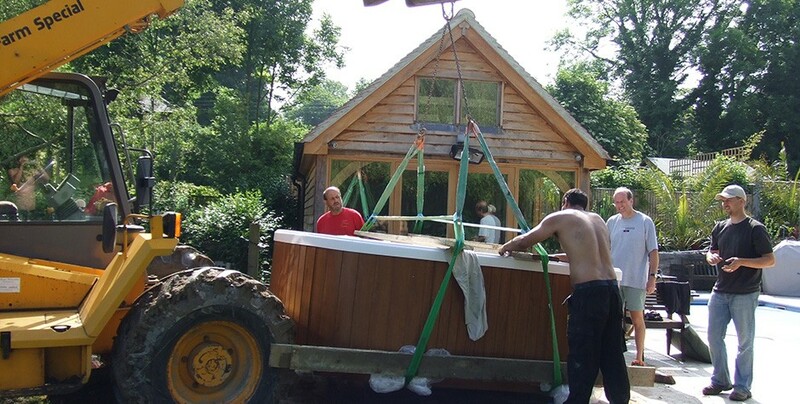 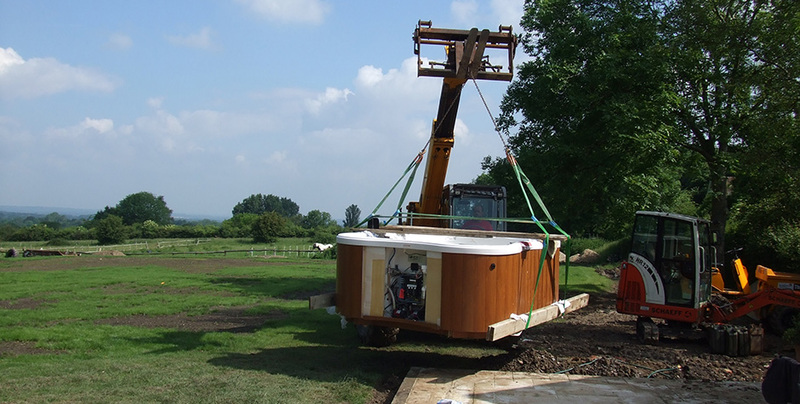 As part of a larger hard landscaping project, our client required a large hot tub to be sunken below ground enabling our clients to benefit from outstanding views across the Sussex countryside and South Downs. 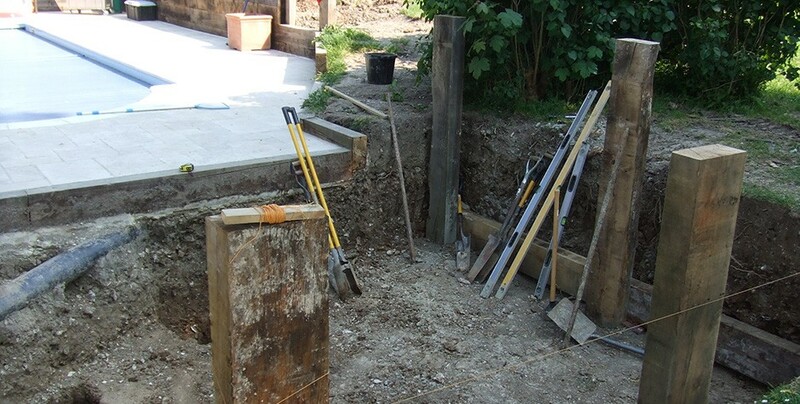 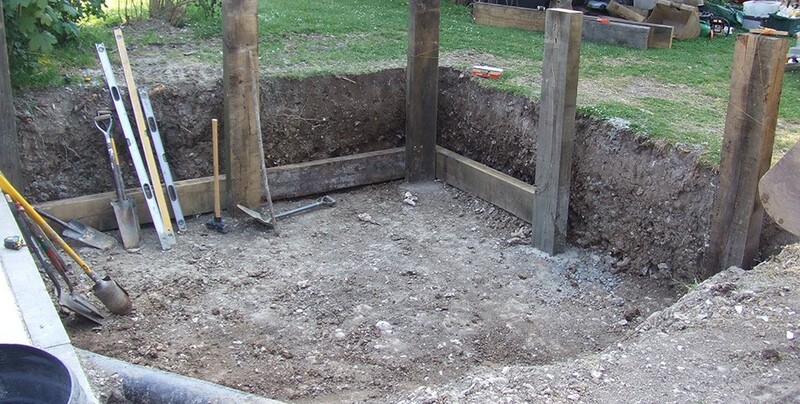 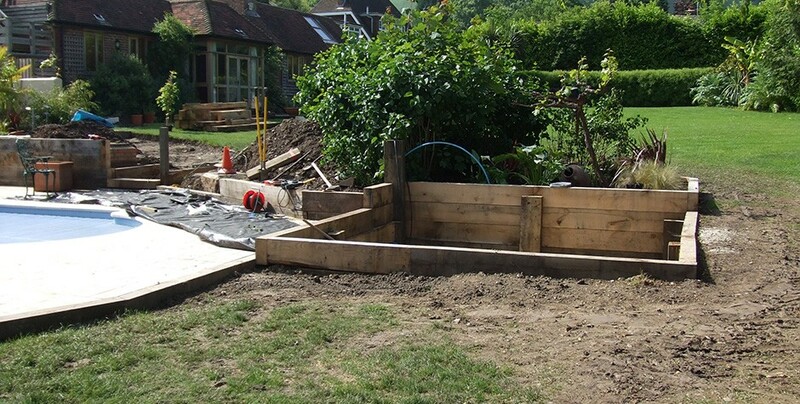 After our initial consultation, we decided to excavate the relevant area and frame the pit in oak sleepers, thus enabling the required drainage around the hot tub whilst also allowing the hot tub to be serviced. 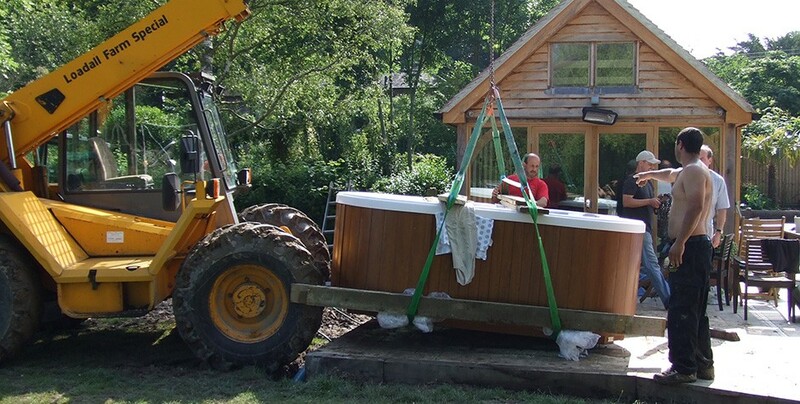 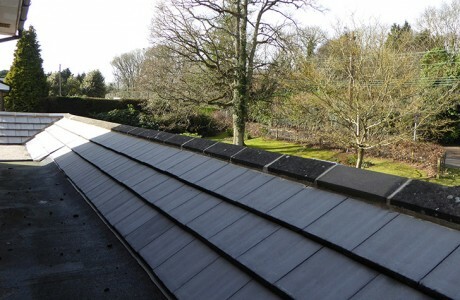 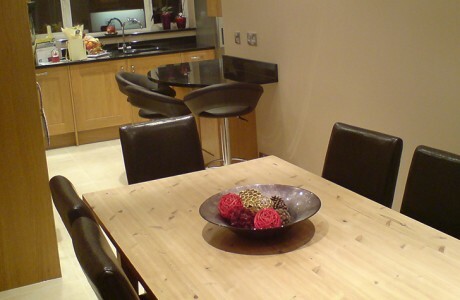 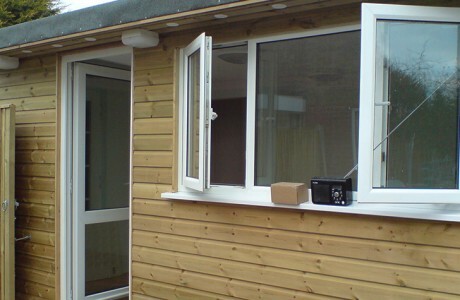 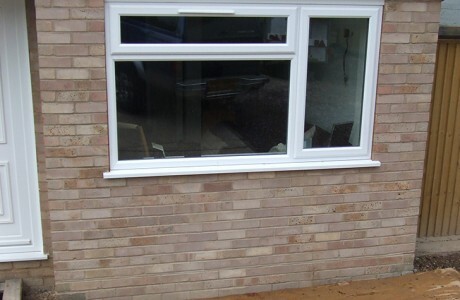 The area was later decked up to the hot tub with oak decking.